Stratford-upon-Avon College strives to provide as much information to parents/carers as possible and we aim to include you in everything that we do. Please take a look at our frequently asked questions and the other information below. 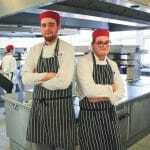 At Stratford-upon-Avon College our students are treated as young adults and we show them trust with the expectation that they embrace responsibility, co-operation and self discipline in order to achieve their desired goals and aims whilst studying with us. 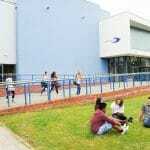 At all times we expect mutual respect and understanding with staff, tutors and fellow students and ask they demonstrate an active interest in all areas of learning, in preparation for making the transition in to the world of work or higher education. Stratford-upon-Avon College is a thriving, high quality learning institution which prides itself on the young people who come here with the drive and determination to learn and make the most out of their experience, whilst upholding the high standards of mature behaviour and professional discipline expected of any institution beyond school. Together, we can ensure that every student leaves us with the brightest hopes for their futures, wherever it may be. How does SUAC ensure my son's/daughter's safety at College? SUAC is a single campus College so everything your child needs is easily available on our secure site. Our staff maintain a high profile across the College. They work closely with the Safeguarding team and are experienced in dealing with social and emotional difficulties. The College also has a clear child protection and welfare policy. Will my son or daughter need any special equipment kit or uniform? Some courses may require specific clothing and your child may choose to do an enrichment option or sport, which requires extra kit. Information will be sent to applicants in advance of the start of their course. Where will my son or daughter eat at College? There are numerous healthy eating options available in our campus restaurant called The Brazz. There is also The Oasis Café where you can pick up drinks and light bites. What advice can you offer regarding my son's/daughter's use of the internet? Go to the CEOP website for more information. What is college life like? We have really high expectations of our students, just like any school. In order for our students to be successful they will need to be dedicated and hard working in the same way our lecturers are committed to them. As there is a greater degree of freedom at college, for example, students call lecturers by their first names, there is no college uniform and students are not required to stay on-site at all times; we have high expectations of the level of maturity shown by students. College is a great stepping stone between school and university/work. What is a college day like? A typical college day starts at 9am and finishes at 4pm. Your son or daughter will have a timetable which will identify their taught sessions. However, we also expect them to be doing at least 3 hours independent study per day, and homework will be set regularly. The government has increased the age to which all young people in England must continue in education or training, requiring them to continue until their 18th birthday (from 2015). If a student completes a BTEC vocation qualification can they still go to University? Yes! BTEC National Extended Diplomas are equivalent to 3 A Levels and are highly valued by universities, attracting UCAS points like A Levels. 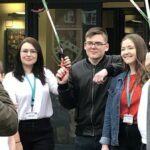 They provide practical skills and experience alongside the theoretical understanding and underpinning knowledge required to progress to university or employment in the chosen subject area. The qualification is scored based on distinction, merit or pass, or a combination of all three.